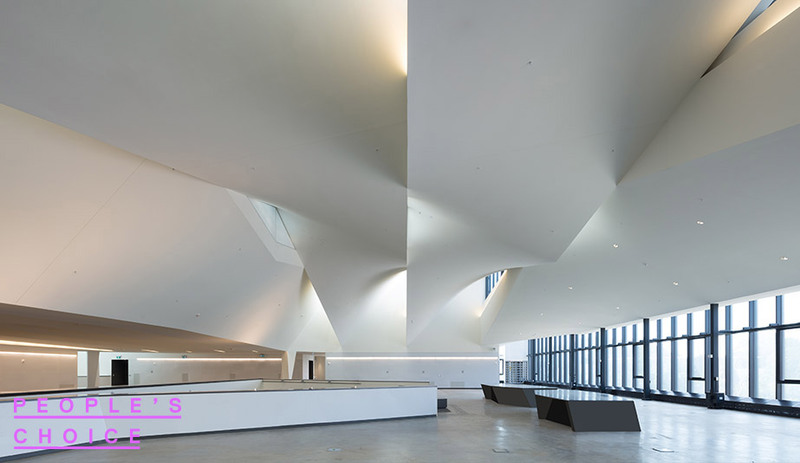 Completed in September 2017 by Boston-based NADAAA, the near-decade-long transformation of the University of Toronto’s John H. Daniels Faculty of Architecture, Landscape and Design included relocating it to a landmark roundabout in the southwestern corner of the school’s downtown campus. 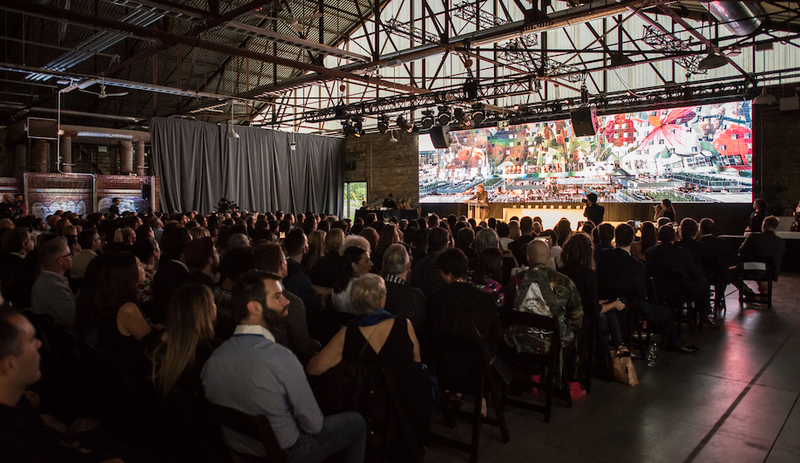 The $69-million renovation and expansion of a 19th-century building in the middle of Spadina Crescent has redefined the area, raised the faculty’s public profile and created a future-ready teaching facility that will shape generations of Canadian design leaders. Among other gestures, the bi-axial organization of the new Daniels Building reinforces the faculty’s evolving urban context. A roof system of cantilevered trusses adds yet more wow factor. 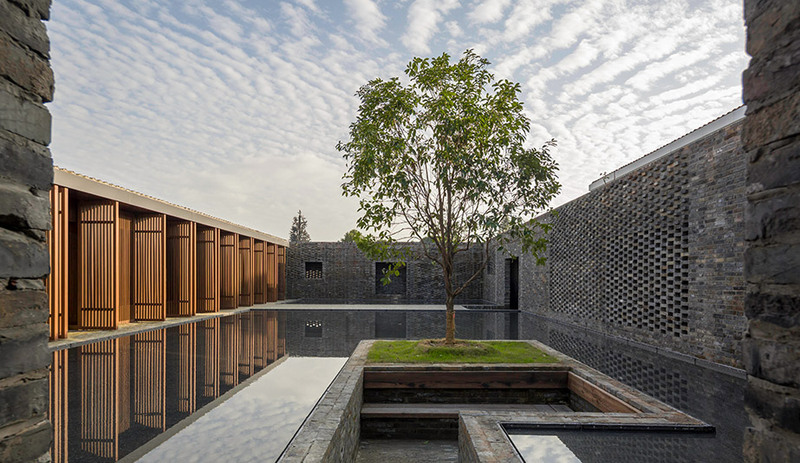 Shanghai-based Neri&Hu Design and Research Office conceived this 4,200-square-metre, 20-room boutique hotel, restaurant and cultural-event space in the Hanjiang District of Yangzhou using the local vernacular of a courtyard residence. The architects connected a patchwork of new and existing structures via a dramatic grid of slightly-below-grade passageways that incorporate varying open-brickwork motifs and skylights. Ensconced behind a high perimeter wall, the compound enforces a sense of layered privacy for hotel guests, who must navigate the corridors that open onto various gardens and water features before arriving at their secluded suites. Furthest in is the Artist Guest Room. Morelia in Mexico’s Michoacán State is both a colonial city of exceptional architectural value and the capital of a domestic narco state. Within this context, a local firm recently completed a much-needed community resource: a women’s shelter for victims of violence. The temporary-housing facility can accommodate up to 36 women in a communal-living setting that includes a medical clinic and consulting rooms for talk therapy. 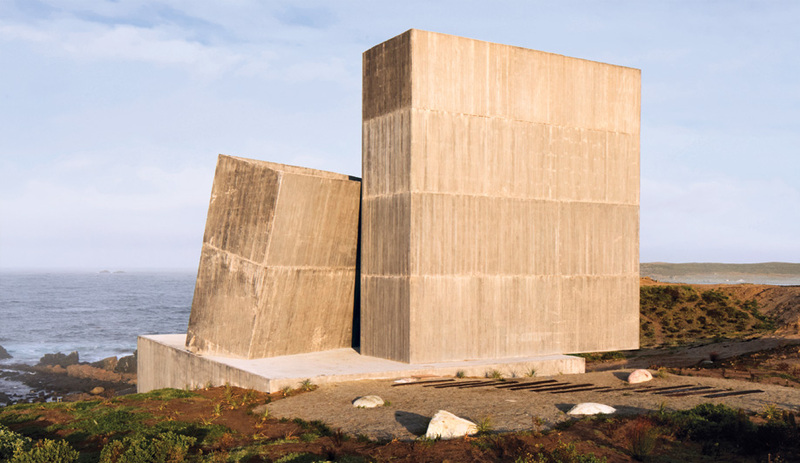 The architects defined the shelter’s different functional spaces by plotting the central circulation in three triangular waves that zigzag across the rectangular compound’s 3,978 square metres. 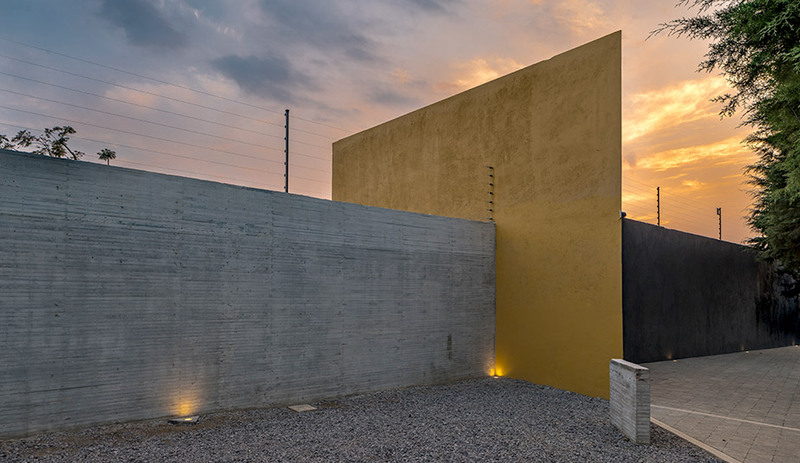 The geometry, colours and scale of the shelter recall the visual vocabulary of Ricardo Legorreta. Located about 15 kilometres outside of Beijing’s core, this first landmark tower for a new central business district recalls a Chinese paper lantern. Its diagrid, faceted facade is both exoskeleton and the building’s primary structure. Two layers of windows address air quality and temperature extremes. 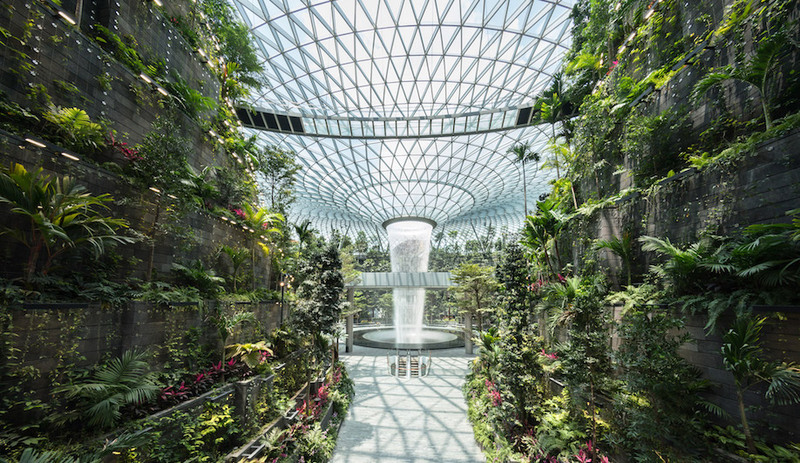 At each end of the building’s footprint, the floor plates and inner layer of glazing stop short of going full-ellipse to create two 29-storey atriums. 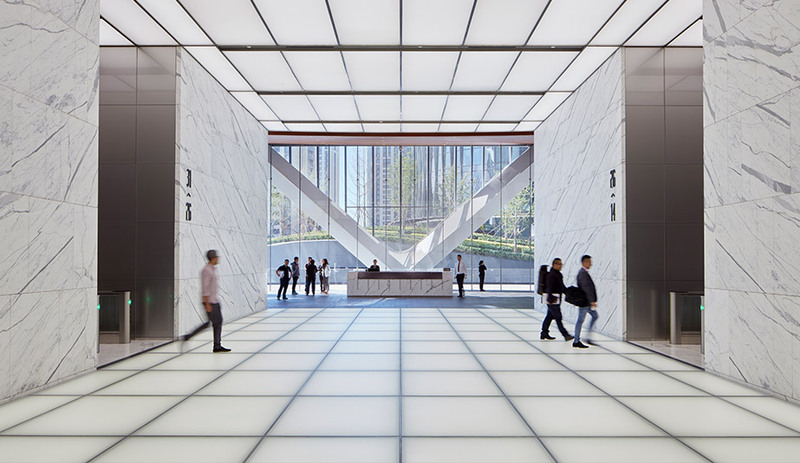 The voids provide expansive views and visual communication between floors. They’re occasionally interrupted by various instances of flair: suspended conference rooms here, a multi-floor spiral staircase there and an open-air courtyard at the top. 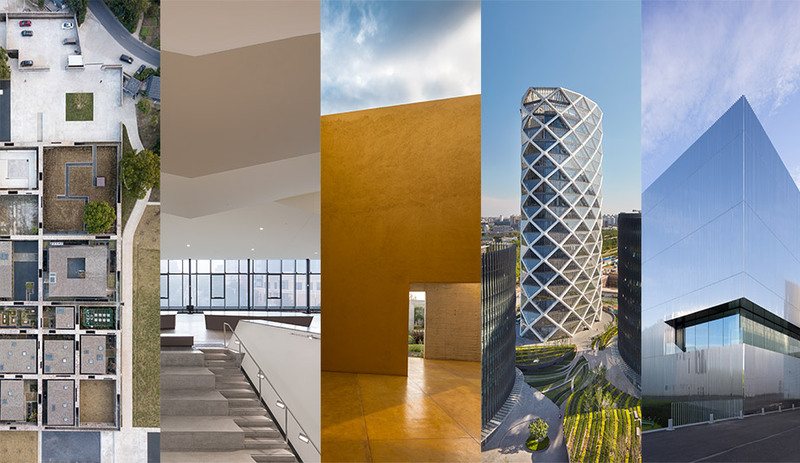 An extension to a public administrative institution that archives documents for both the Bibliothèque nationale de France and Paris’ universities and research centres provided Antonini Darmon an applied opportunity to perfect the cube. 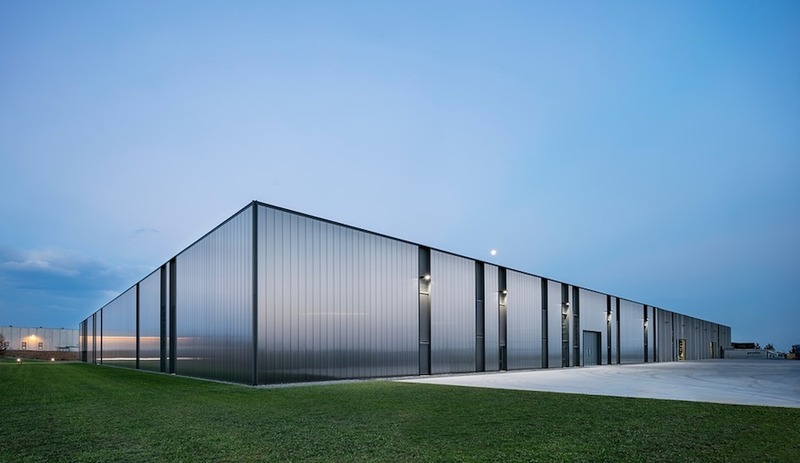 Instead of building a single monolith, the firm chose to break the program into two identical volumes connected by a narrow, glass gallery space. 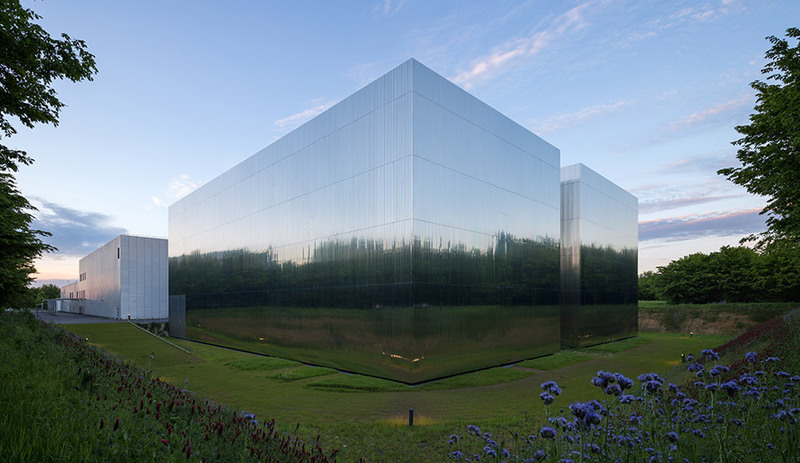 Almost a perfect mirror, the cubes’ facades, which are clad in ribbed panels of stainless steel, reflect the site’s forest surroundings, making the massive volumes almost disappear. Because of the panels’ vertical joints, however, the structures don’t vanish entirely; rather, they blur.